I hope you can take the time to see my picture galleries and my exclusivities page with under-page S557 gallery. 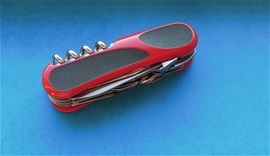 If I should mention a special knife that represents Wenger in a special way then it is the S557. This knife is on the top of the list on knives that represents the history and philosophy of the Wenger Brand. If you can take the time to see the United Woods page as well then you can see it there too. It is always so with a knife Brand that some knives as closer to the core of a company`s ideas and tool evolution. It is a valuable pack of tools in a small 85mm package. For me as an enthusiast this knife is one of the most interesting. Wenger is a Brand with very many functions in the inventory and some of them will continue under the new name. From my information the S557 Evolution and EvoGrip + EvoWood will continue under Victorinox with some modifications that you already can see on the internet today. I like it still but the modifications are so many on this model so it is different for me. If you take a closer look on the Wenger S557 in the hand then it is interesting to see and have in mind how and when some functions arrived in History. It really is so that a knife and the evolution follow the world and society. It fit the modern world! Another very important part for is your personal improvisation with a knife and tool. MacGyver it! It is about time that i show you the Wenger S557 EvoGrip version. Introduced in 2007! I find this model to be very beautiful and it is knife with history. My knife is from 2010. The S557 is interesting because it is very much liked by users and collectors. It is a piece of technology. On the picture above are the S557 Wenger knives in my collection. No need for many words, only the blue one is modified by me. I put on blue handle scales. The S557 is the result of the evolution and history from 1893 until 2014. This is important to have in mind and what it means is that how versatile the knife is can only be limited by imagination. The selection of tools is made the best as possible for different tasks but a SAK is not limited by this. This means that the functions could work for many more tasks. The selection of tools is made for an area or needs. It is also in the SAK history that every function should be versatile outside the normal. This is into the MacGyver it atmosphere and it can also mean how a knife with its functions can fit a sportsman fisherman or a survivalist or a Special Forces individuals survival pack. It all depends on the individual need or tasks. The S557 is special because it would be the Wenger knife best designed to represent the Company but I believe it represents the best over-all design from Wenger. It is obvious that Sportsmen knives and SAK solutions are fused together as well with this knife. There is no need to modify any functions but for sure I understand some may find that helpful. I did put on the blue to see in my hand how it looks. Colors and SAK goes hand in hand. Improvisation is important with use and a flat screwdriver can be used for at least 100 things! 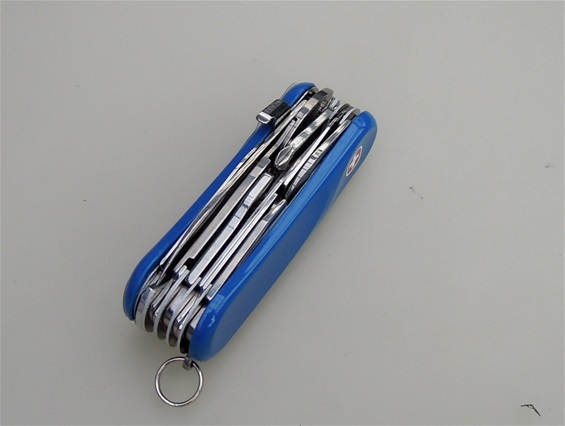 On a modern SAK the use of the standard functions plus scissors, Phillips screwdriver, pliers, universal wrench and locking blade equals one of the ultimate tool sets. 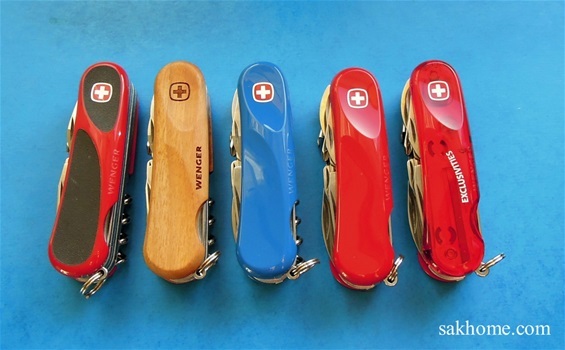 A SAK can also be used in combination with a fixed blade or a MultiTool with great success. The locking blade is not any fighting weapon because it was never made to be any tactical choice. The tactical choice on this is the safety and versatile use. It is designed in the SAK tradition and that says it all. 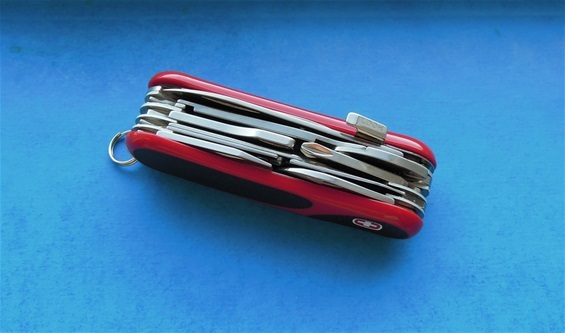 A SAK can for sure be called a tactical tool in the sense it can be used to make things.